Hi, Damian Garbus here. I’m a system engineer, Powershell geek, husband, and father. 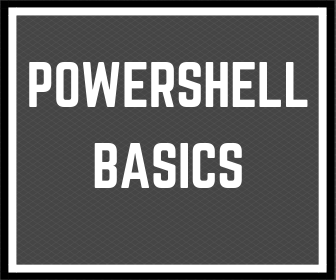 This is my first post on this blog and I want to tell about What is Powershell and why Powershell is not only for tech guys. Powershell is a command line shell often used by system administrators everyday work. It can be used for manage IT environment, automate administration, create reporting tool etc. For example, Powershell can be used for faster creation mailbox for a new employee, reporting some errors on servers etc. If you search in google what is Powershell, almost always you read an article from tech guys, IT Administrators etc. In this article you can find many understanding words. One of definition you can find here. It’s not all for me. Many people don’t know what is Powershell. Powershell is an excellent way for everybody to create tools for everyday work. When you have a small company, you don’t have to buy applications for creating selling reports or pay for additional applications integrations. The cheaper way is to write some Powershell code which will create a selling report every day and send it on your email address or sync data from one business application to another. Then one thing you have to do is read email and check how many your product was sold. I know it’s a simplification, but it can be done. If you don’t have time to learn what is Powershell, you can delegate it for a freelancer to write some scripts, what can be cheaper than create an entire application. write some scripts what can be cheaper than create an entire application. 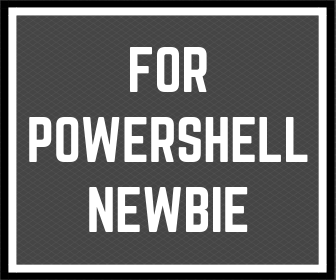 For what you can use Powershell for every day? If you use the Microsoft Windows operating system you can use it for many tasks. For example, I use it for faster creating Jira issue, or backup KeePass key with my password. Sometimes I use Powershell scripts to get data from the website and put into some files needed for work. It really can be used for many other tasks!!! 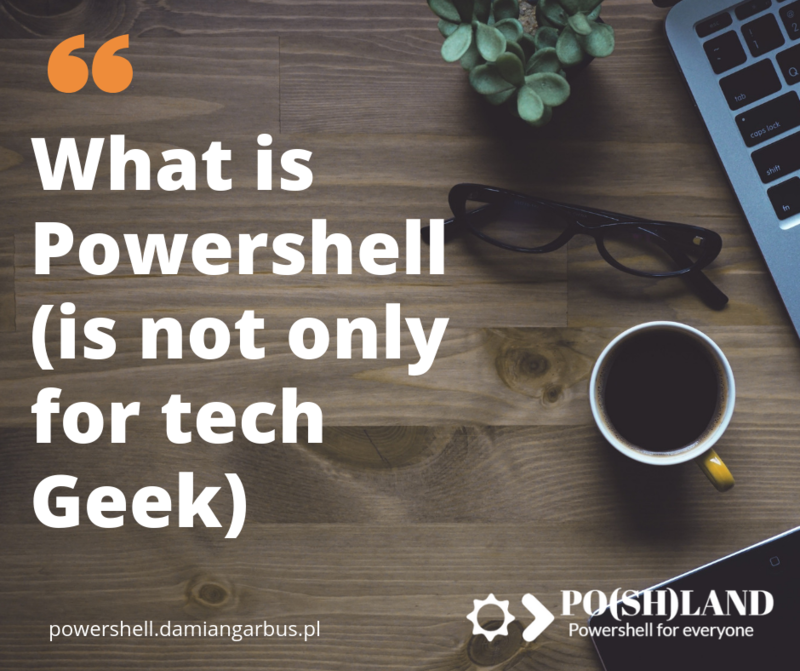 Have you already use Powershell? If so please write to what type of task in comments. 2 replies to "What is Powershell (it’s not only for tech Geek)"
I use PowerShell as a one-stop portal to completing windows administration. Awesome!!! For what types of services are you administrating? Active Directory, Exchange or something else?